‘I’m hands-on – that’s how I work. I’m on site every day and I always like to be a point of contact for clients.’ Jason Wilkinson, Build Director of Whitehall Construction, is explaining his business philosophy – and the passion is shining through. ‘I think my approach stems from the fact that I started at the bottom of the trade as an apprentice bricklayer and worked my way up,’ Jason continues. ‘I’ve learned how important it is to be available – there’s no better way to create a positive relationship and find solutions to issues.’ Jason co-founded Whitehall Construction three years ago and, since then, it has grown rapidly through word-ofmouth recommendation. 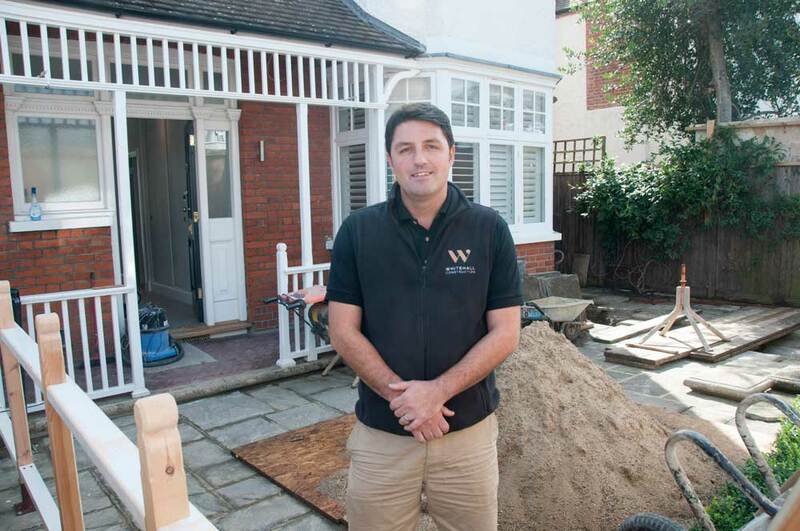 Focusing on the West London area, the company specialises in whole house renovation, loft conversion, kitchen and side return extension, basement excavation and bathroom re-design. ‘We have the knowledge to take any job from Planning and Design through to Build,’ Jason tells me. ‘We’re used to liaising with architects and structural engineers and, when it comes to construction, we have a permanent team of high quality, reliable craftsmen.’ He is convinced that clear project management is the key to every successful build. ‘It’s crucial to explain the process – why something will work and why it won’t.